The elegant XPS watch by Chopard L.U.C, with its highly-decorated/tested movement... And a twist! The XPS by Chopard has been one of the best examples of the modern, chic, ultra-thin watch for over 20 years now. Elegant, beautifully crafted with great mechanics, one could regret a certain lack of audacity in the design, with most of the pieces being quite minimalistic. 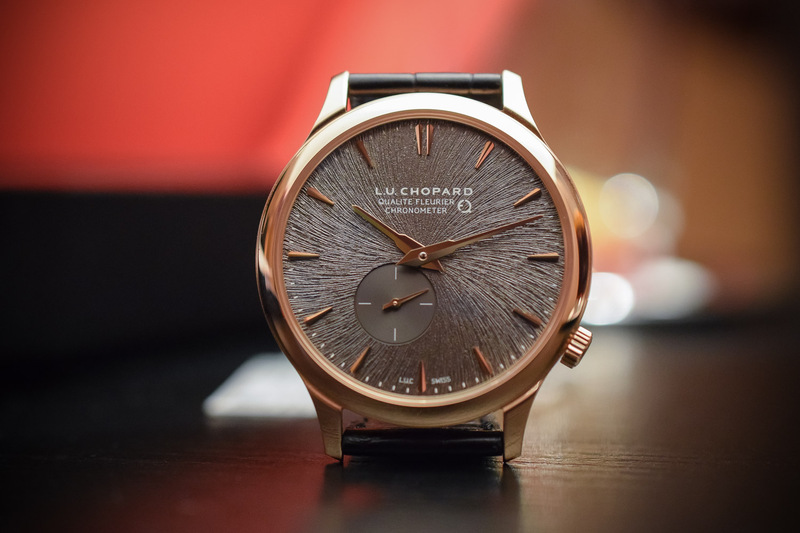 While keeping the L.U.C codes alive, Chopard brings a fresher take on the model as a preview of Baselworld 2019. 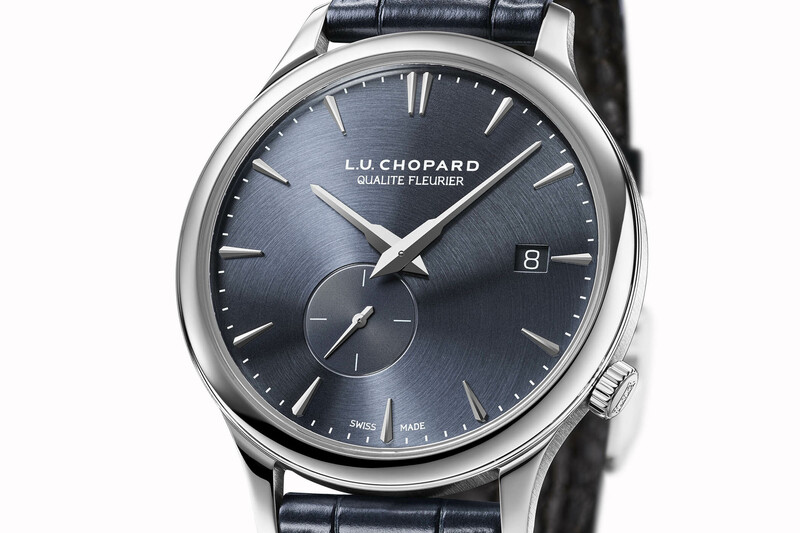 Meet the Chopard L.U.C XPS Twist Qualité Fleurier – and indeed, it comes with a twist! The XPS is the direct descendant of the first L.U.C watch introduced in 1996 with the ultra-thin, in-house calibre 1.96. A movement that is still used today, the calibre 1.96 has undergone various updates and multiple configurations, yet the base is the same. 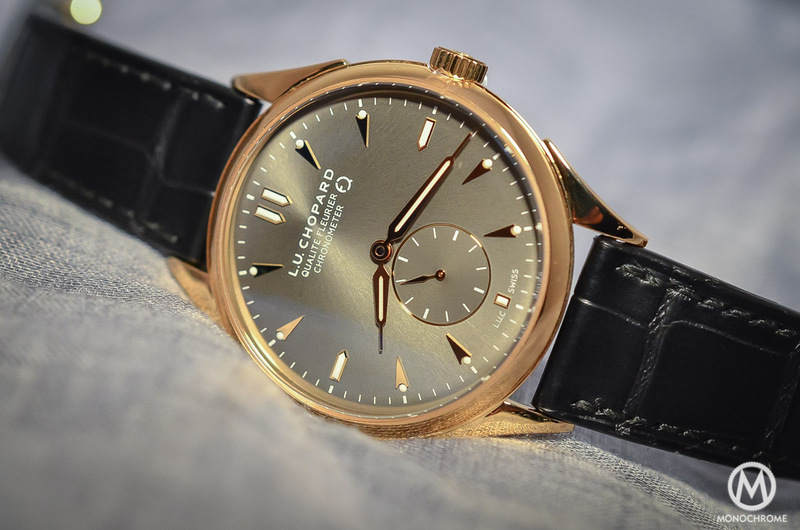 It was the first calibre created by Chopard Manufacture in 1996 after Karl-Friedrich Scheufele initiated a programme to produce movements in-house in Fleurier. The first L.U.C branded watch was a discreet, gold-encased piece with an elegant guilloché dial and a 36mm case. While still beautiful, today’s expectations are different and Chopard continues to capitalize on this concept with the more urban XPS model – and today, it becomes even more modern with the “Twist” version. 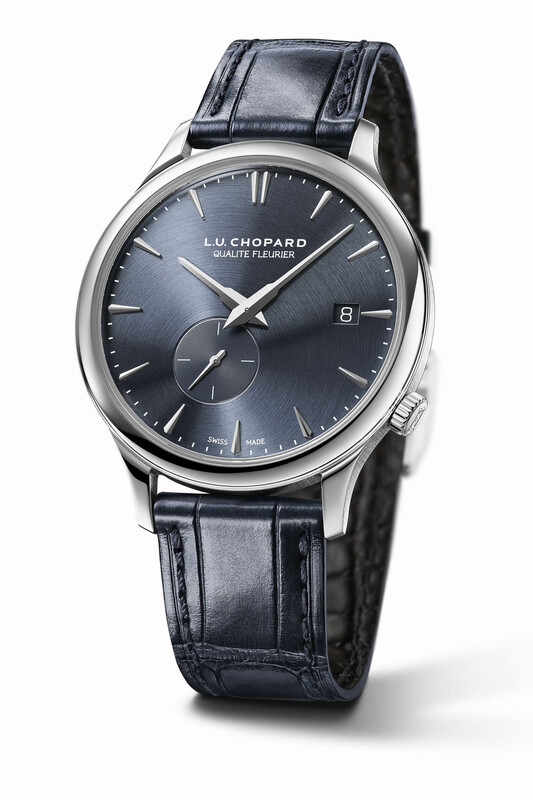 This new L.U.C XPS Twist definitely marks an evolution of the original concept but Chopard keeps things under control. The case is still 40mm in diameter and the profile remains extremely thin at only 7.70mm. The design is also familiar, with the same case as other XPS models. 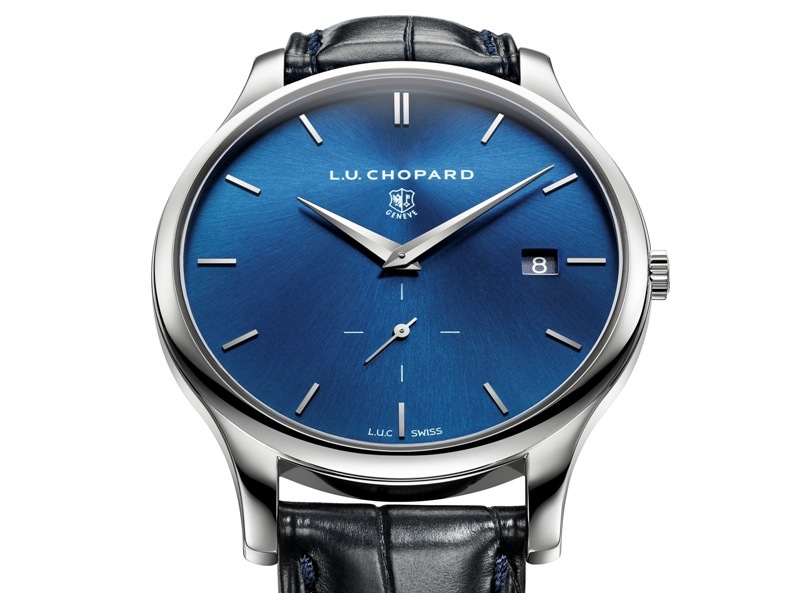 Here it is crafted in ethically-certified “Fairmined” 18k white gold and combined with a matte blue-grey, plant-dyed, CITES-certified, alligator leather strap – Chopard clearly emphasizes the “ethical” component of its production. Yet, the crown of this L.U.C XPS Twist is located at 4 o’clock. 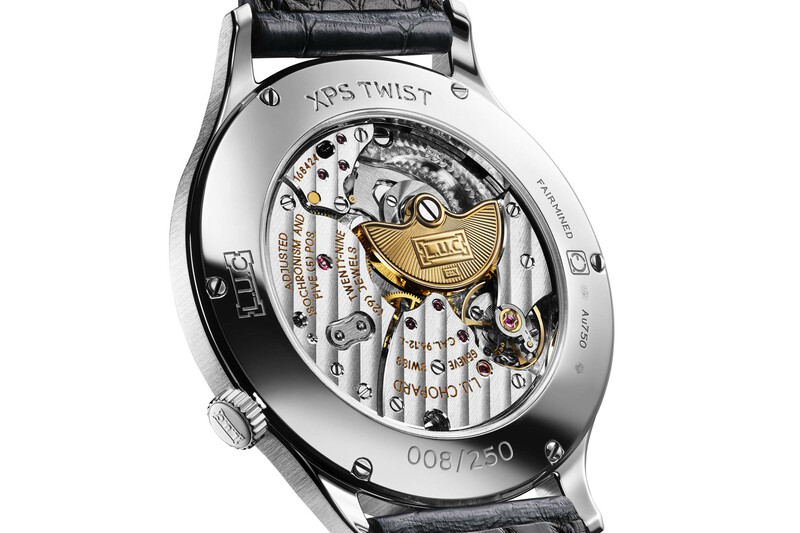 When the brand says “twist” it is accurately describing the way the movement has been twisted inside the case. This means that the entire displays also performs a rotation, with the small seconds now located at 7 o’clock. The date aperture, on the other hand, remains at 3 o’clock. 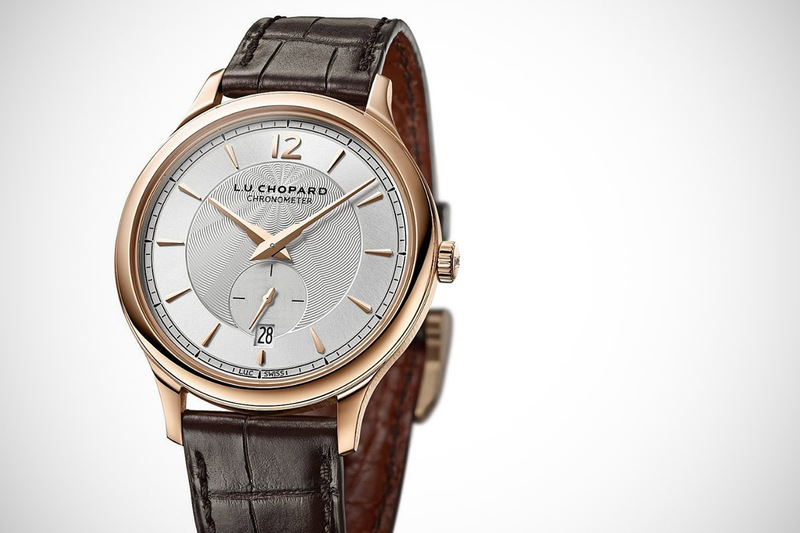 The Chopard L.U.C XPS Twist Qualité Fleurier also inaugurates a new dial, with its original swirling decoration. 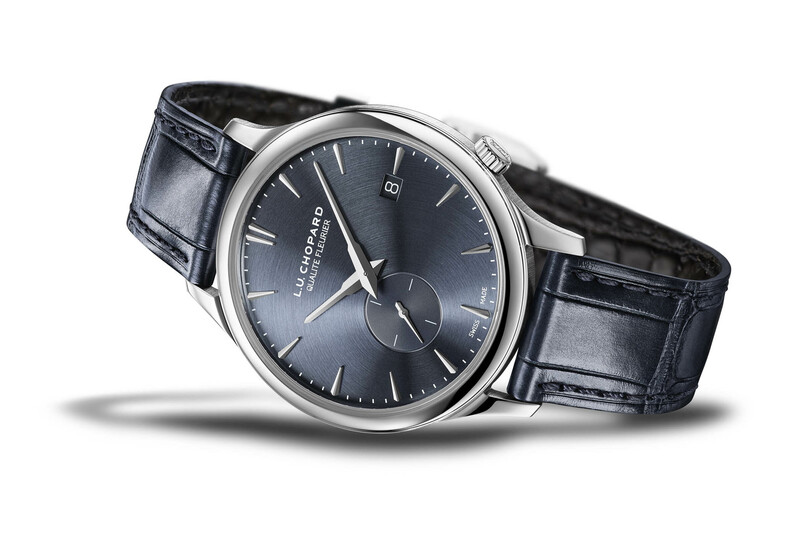 The blue-grey plate features a satin-brushed, circular-grained motif centred on the small seconds, which is not aligned with the round shape of the bezel. Surprising, but pleasantly different. Hands and markers are classically shaped and rhodium-plated. Inside the case is the calibre L.U.C 96.26-L, which is both certified as a chronometer by the COSC and tested by the Qualité Fleurier label – more details in this article. In short, the interest of the Qualité Fleurier Certification is that it encompasses comprehensive criteria and stages of testing to guarantee a technical conception, high-quality finishing and control of the precision and robustness of each watch at the same time. The label was created in the early 2000s by the three high-end Fleurier manufacturers (Parmigiani Fleurier, Chopard and Bovet). The movement is the superb micro-rotor wound calibre of most XPS watches, with a double barrel, a slim profile (3.30mm) and a comfortable power reserve of 65 hours. The decoration is of the highest standards, with hand-polished bevels, a 22k gold rotor, thin Geneva stripes and perlage on the main plate. 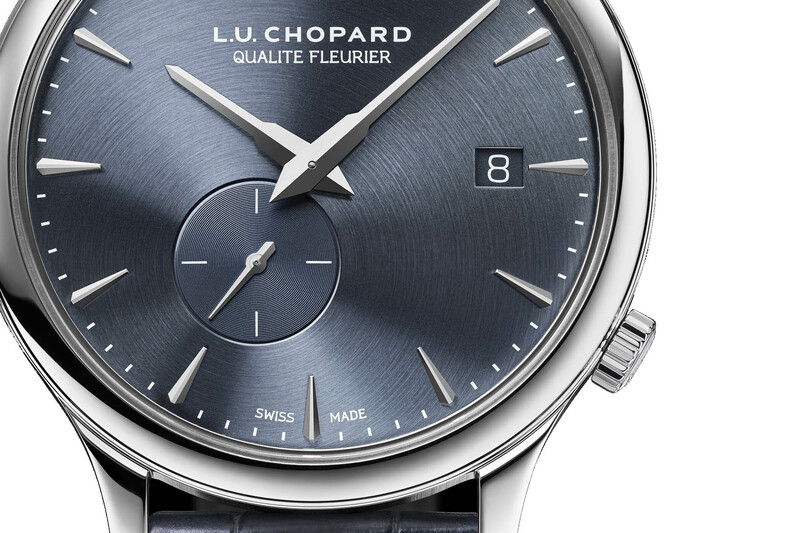 The Chopard L.U.C XPS Twist Qualite Fleurier will be a limited edition of 250 pieces, presented as part of the Baselworld 2019 collection. Price is expected at CHF 19,800. More details at www.chopard.com. Yet another example of manufacturers insisting on ruining their dial designs with totally unnecessary date windows. I’m a fan of some asymmetry, and indeed have a Breguet 7147bb with the sub-seconds at 5.30, but this is rather too twisted for me – and, as noted above, the inclusion of the date is a shame – and is particularly weird in this context. I own a LUC and I love pretty much any iteration of this line. I really appreciate the “twist” effort on this design altough I see it may not be everyone’s cup of tea. Is the caliber 96.26-L the new name for the old 3.96? I really like this one, well done Chopard! The slight asymmetry is excellent. To the nay-sayers – why so serious? 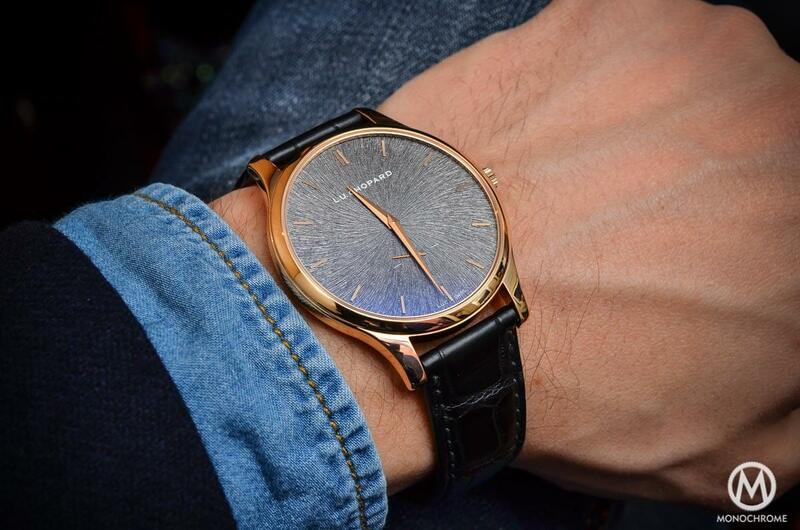 This is a great example of a modern design dress watch. I also don’t get the strong feelings regarding the date… I personally really want a date window on my watches, as I do want a seconds hand. Yes, both on sports and dress watches. Not all of them have it, but most do, and I like it.